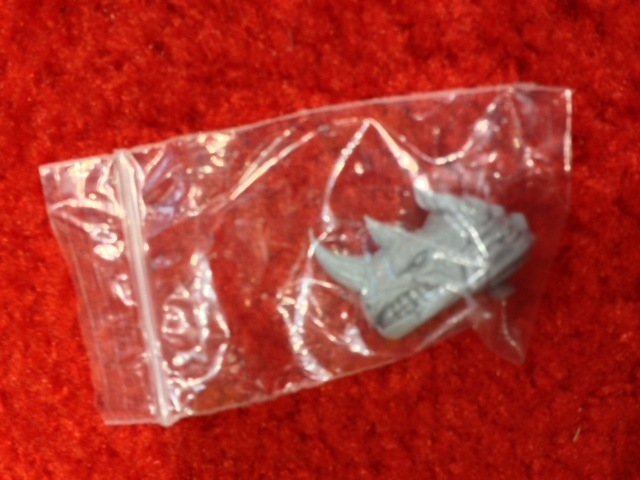 New Glyos Armorvor Head: Rhino! The Godbeast and Jason Frailey collaborated on another awesome custom head for the Armorvor! Debuting at C2E2 this weekend, this Rhino looks, well, awesome. Our pal Shaun was at the show and picked one up for $15, letting us know it was the last one there. TGB tends to make more units available in the future, so keep an eye on the October Toys Forums for his waitlists if you're in to such things, which you probably should be. After a few gators in the Minimates range I didn't expect to have much interest in the regular version, let alone the clear Aldyle Burst which showed up at my house in January. Packed 3 to a case of 24 random blind clear figures, this figure is cast in both green and blue plastic with golden eyes as his only painted detail. Well, not counting his dice anyway. 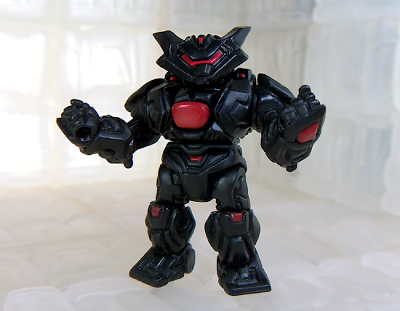 Not one, but two new Glyos Armorvor action figures are coming this month! One will be released on Friday, the other is exclusive to C2E2. Soon to be sold online at Onell Design, the black and red Reydurran Mimic Armorvor will be black with red highlights. It will be $8, and sold out before you remembered you forgot to buy one. Limit 2. TheGodBeast himself will be on hand selling matching custom hand-cast heads you can swap out for this one, so bring some extra coin to buy a few of those. They're awesome! 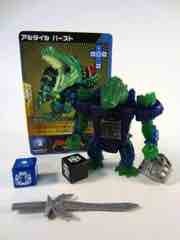 The Battle Beasts Triple Threat Snake came from a collection I bought in either late 2011 or early 2012. He didn't have his weapon, so I had to trade around for that. It was surprisingly cheap and didn't take long to assemble, and it was fun to actually get a figure I've had on my mind for a couple of decades. 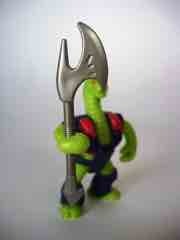 Along with King Cobra, he's one of two snakes in the original line of roughly 2-inch tall figures. I swore off collecting "vintage" (read: defunct) action figure lines in the early 1990s, with a couple of lapses here and there. I made an exception for this line, and one other, solely because (at press time) nobody has yet decided to bootleg them. Knock-offs ruin toy collecting for me, I want originals, 100%-new remakes, or nothing. If you are very old, you may remember a recent Kickstarter project for Rise of the Beasts. This was to be a 2-inch-ish line of figures which has yet to make it out as a production item, but preproduction continues and an update was just posted to the original Kickstarter listing. The good news? 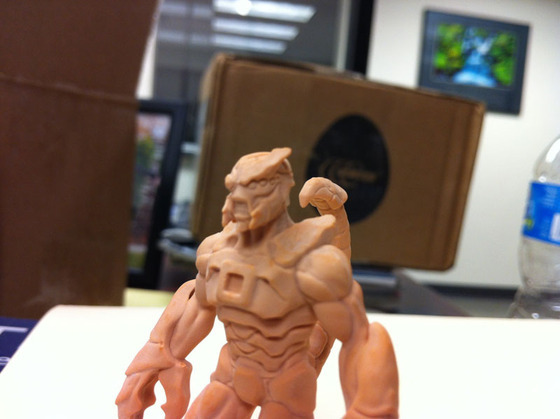 Here's a look at a Scorpion figure sample! The bad news? The Gold Lion freebie has yet to be finished, and the factory doesn't look like it's going to deliver the goods. Enough of my blabbing - click here to see the update.